Condition: Good condition, clean and bright copy, might have been read only once. Slight signs of water damage might be notice on top of dust jacket. There is a sticker from previous store on the front cover. 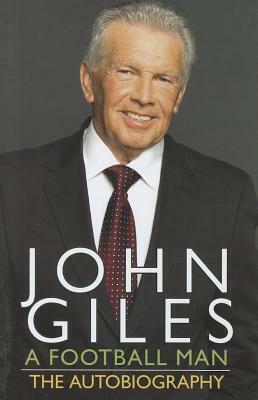 John Giles had a gift. At the age of three, he could kick a ball the way it was supposed to be kicked. And he knew that every hour that passed without kicking a ball was an hour wasted. 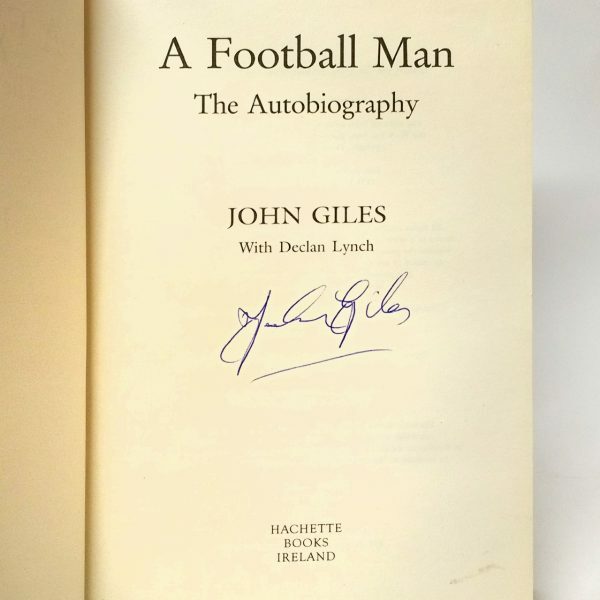 In A Football Man, Giles tells the story of a dream pursued and realised beyond his wildest imaginings, from his humble beginnings in Ormond Square in 1940s’ Dublin, counting down the minutes to his next game of football, to that unforgettable moment when the original football man – his dad, ‘Dickie’ – announced that his young son, at just fourteen, was on his way to Manchester United. 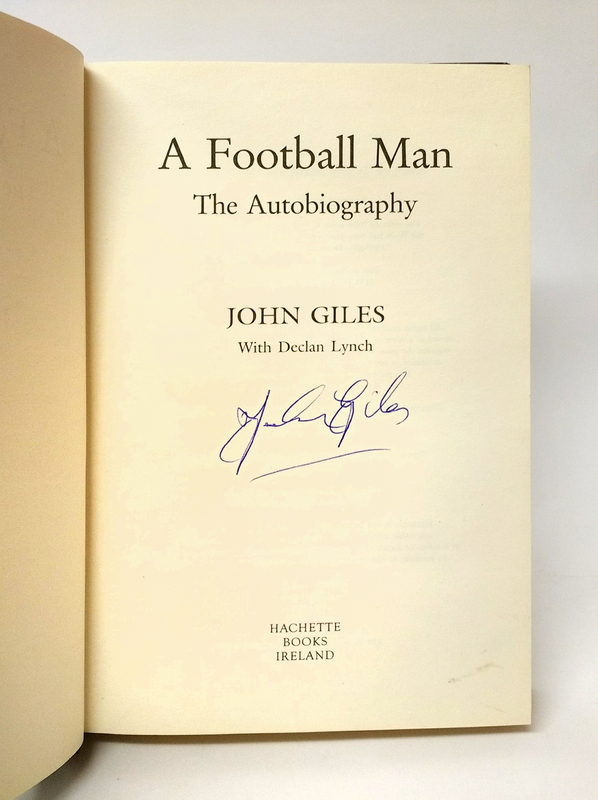 Full of anecdote, insight and wry humour, Giles recounts his rise through the ranks at Manchester United, before and after the Munich Air Disaster; the great players he knew; the good and the bad times under Matt Busby; his sensational debut for Ireland which he served as player and manager; his starring role in the brilliant, controversial Leeds United of the ’60s and ’70s; and his challenge to the portrayal of himself and Brian Clough in The Damned United. 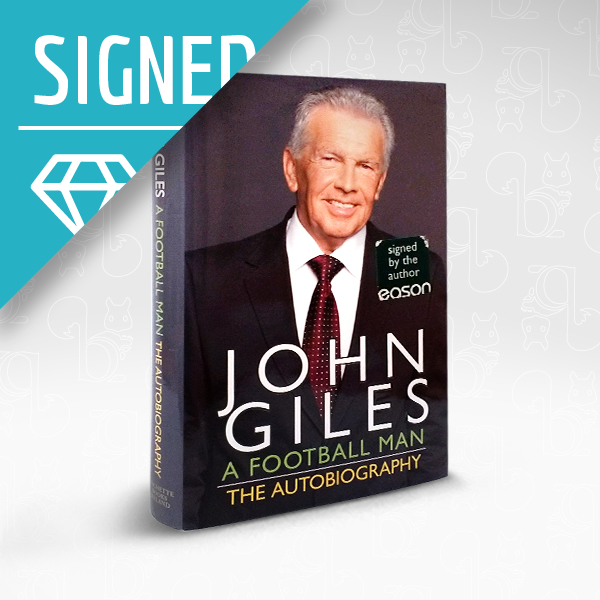 He also describes his enduring friendship with the ‘kid from beside Tolka Park’, Eamon Dunphy, and his career on RTE TV’s football panel, where Giles’ intelligent and insightful analysis have made him an even more well-lovedd and respected national figure. Good condition, clean and bright copy, might have been read only once. Slight signs of water damage might be notice on top of dust jacket. There is a sticker from previous store on the front cover. 2010 by Hachette Books Ireland. First Edition.